It’s time to buy school supplies in North America. 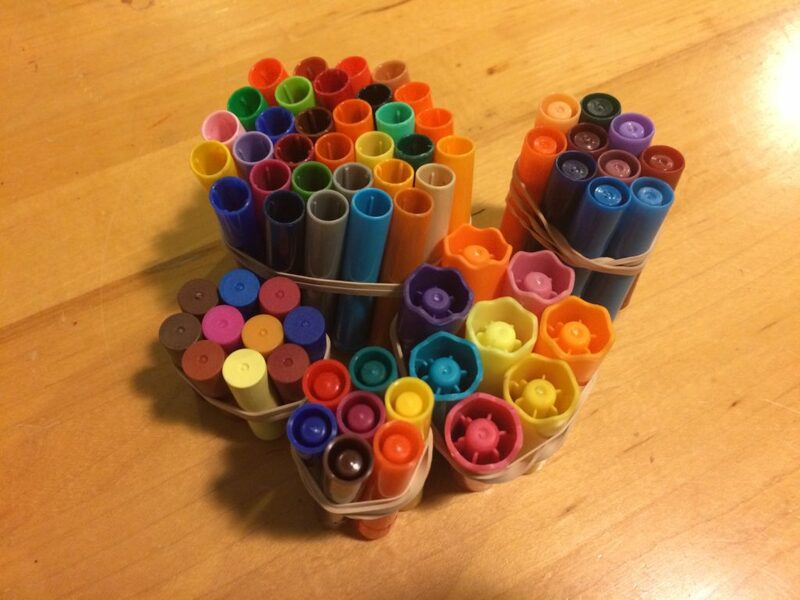 My kids have a pile of crayon nubs and dried-out markers from last year, so I researched project ideas for crayons and markers. Seal a letter with drips of wax – make a personalized stamper by using a wood burner on a wood dowel. 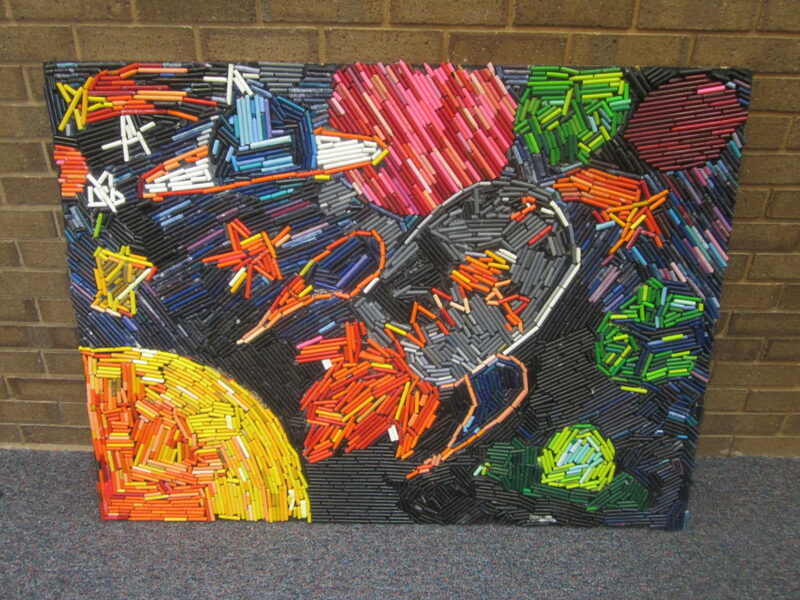 If you don’t want to make something from crayons, you can send them to the National Crayon Recycling Program. Also, consider buying soy or beeswax crayons for your next crayon purchase. 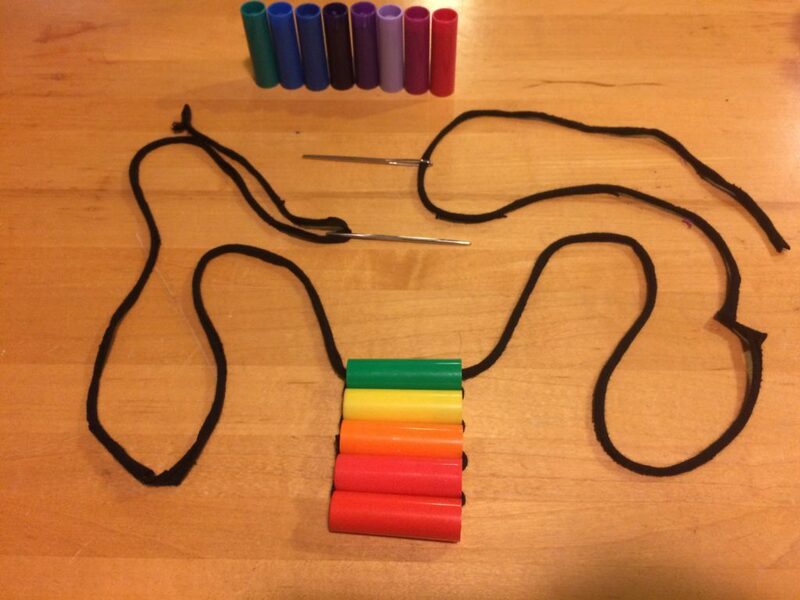 You can make your own beeswax crayons. You might be able to extend the life of a marker by adding water and putting some plastic wrap and the lid. 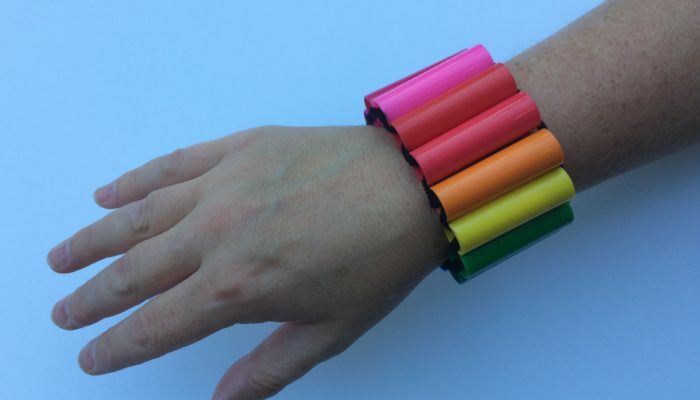 I made a bracelet from marker plastic caps by drilling them at the closed end and then sewing them using ladder stitch, used by artists who make beadwork. This involves putting darning needles at both ends of a long string and then going back and forth between each cap. To make the bracelet easy to put on, I wanted to use a string that was stretchy but strong so I cut a strip from an old t-shirt. I saw a picture of a purse someone had made with a lot more caps. I would need to collect marker caps to make such a bag. You can dye white flowers by putting those flowers in marker water. Crayola has a program to recycle markers but you have to register as a school – so you could coordinate with a local school. This is in the contiguous US and some areas of Canada. There are refillable markers products available such as Eco-Smart markers and Bottle 2 Pen by Pilot. 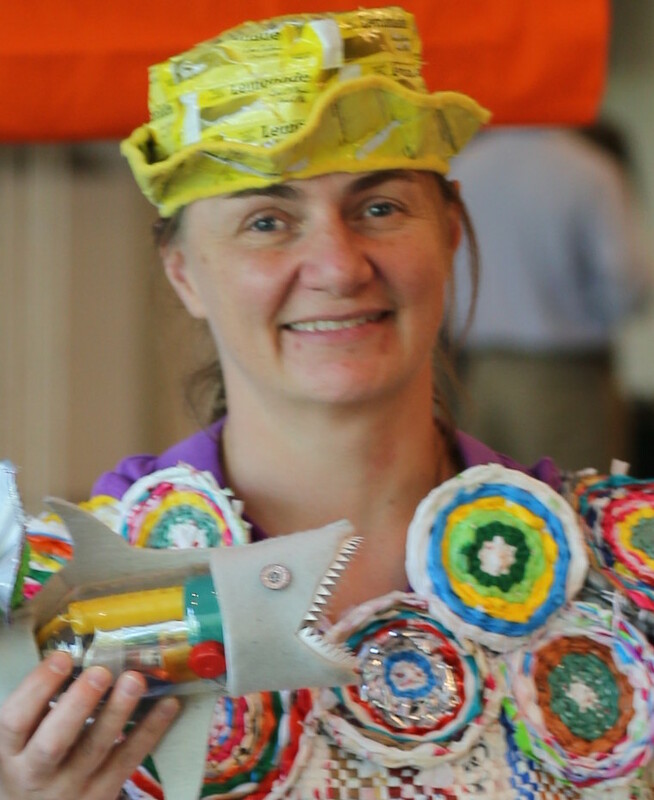 Costas Schuyler collects pens for art projects – covered a Mercedes Benz and called it the Mercedes Pens – in Art Car shows. 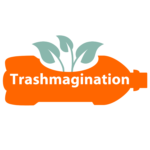 If you make items from crayons or markers, I would love to hear about your projects at trashmagination@gmail.com.